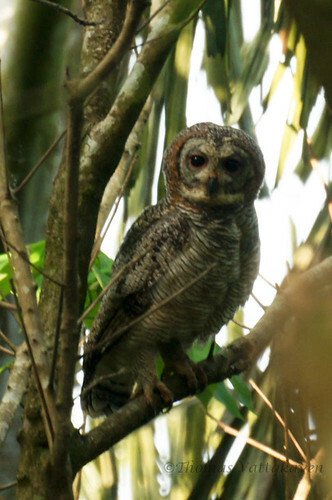 The Mottled wood owl (Strix ocellata) is a huge species of owl (40 – 48cm) that is endemic to the Indian subcontinent. 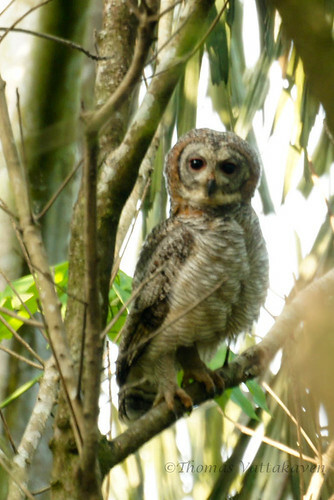 It is a earless owl with a white facial disk with concentric black barring and splashes of rufous. 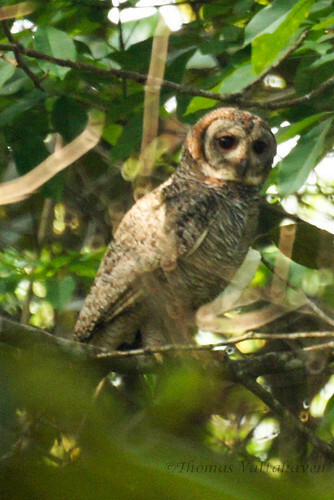 As the name suggests, it is mottled on its crown and upperparts with with reddish-brown and black. 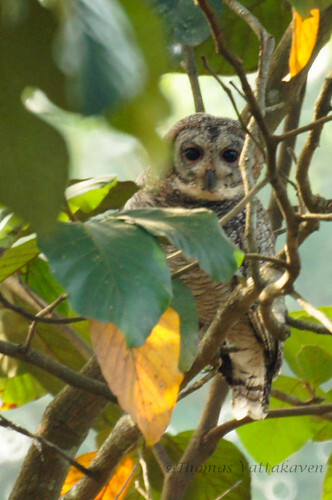 The bird, like most owls, is nocturnal and roosts in pairs or groups by day. They feed on small mammals and birds. 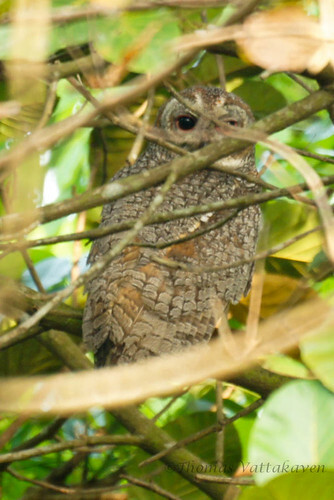 The breeding period is from February – April. 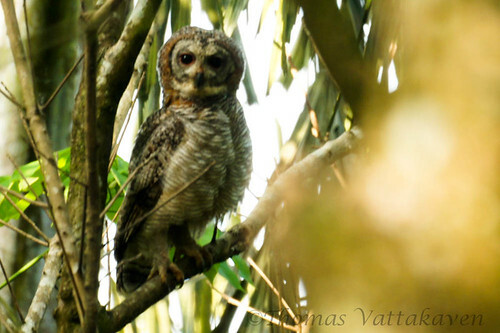 I captured these photographs while visiting my in-laws in Mallikaserry. 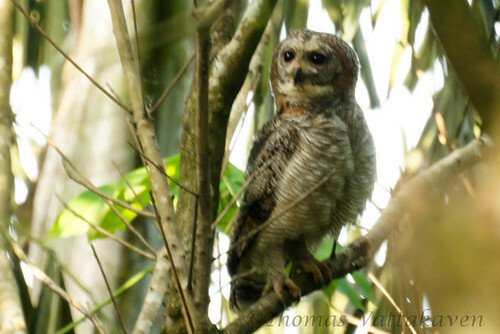 A pair of breeding mottled wood-owls were being harassed by crows and drongos, however, they seemed to be more afraid of me and wouldn’t let me get close. 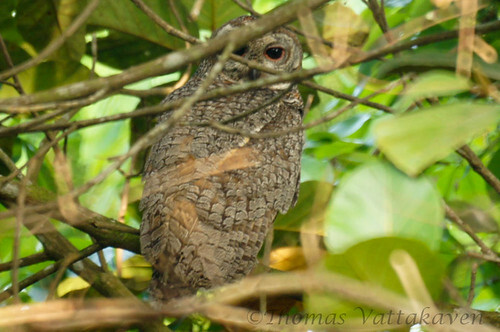 Being resident in the undergrowth, it was hard to get images of these birds that were not blurry. Lovely images... I didn't know they were endemic to our country. Thanks for the info.